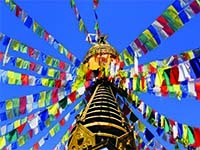 Call it ‘Shangri La’ or the ‘Land of the Dragon,’ Bhutan is one of the most well preserved parts of the Himalayas. 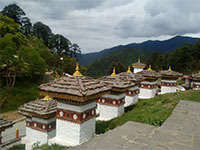 The only Hindu Kingdom in the world, Bhutan retains all the charm of yesteryear and has a remarkable cultural heritage. The country is a true paradise for birdwatchers with around 770 species seen here along with several endangered animals. 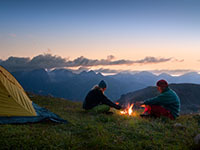 Adventure seekers can enjoy nature walks, treks, hikes, river rafting and cycling in Bhutan. The country has vowed to maintain nearly sixty percent of its land under forest cover at all times and has received international acclaim for its conservation works and its efforts towards controlled tourism. 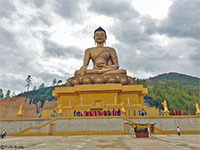 Bhutan is worth a visit not just for its spiritual legacy, rich traditions, spectacular Himalayas, lush forests, or beautiful floral blooms but also for its warm and generous people whose hospitality is bound to win your hearts.